With the holiday season coming up, many of us will be decorating our homes. For those who celebrate Christmas, this means having trees, wreaths, and other decorations made from live plants. However, these decorations can be the carrier of a variety of different allergens, including mold. Mold can attach itself to anything. That includes plants, clothes, hair, and even our skin. Christmas trees can potentially bring in allergens, including mold, into your home. Christmas trees and other decorations that come from outside will have a great deal of allergens attached to them. Whether it be pollen, dust, or mold, it can affect your health. Mold especially has been known to cause a plethora of health issues. These issues can range from slight allergies to more severe irritation of the eyes, nose, throat, and respiratory system. Those who are especially susceptible to this irritation should be aware of this during the holiday season. Faux Christmas trees are a great alternative for people with severe sensitivity to allergens. Mold is resilient. While it doesn’t grow in cold temperatures, it can still survive. Most live Christmas trees are sold at outdoor markets, making them susceptible to pollen and mold spores. When we take these trees home, they bring the pollen and mold spores with them into our homes. Mold dries out in cold temperatures, but it does not die. These dried mold spores can be suspended into the atmosphere of your home when you set up your Christmas tree. The spores will then attach themselves to other surfaces, such as walls and floors. This is why it is important to ensure that you keep your South Jersey home properly ventilated. Too much warmth or humidity will cause these dried spores to reactivate. When they reactivate, they will continue to grow and thrive in this warm, humid climate. Even if the Christmas tree itself is in your living room, the mold spores are able to travel anywhere in the house. Even if the Christmas tree itself is in your living room, mold spores are not restricted to one area. The mold spores carried by the tree are able to travel freely through the atmosphere. They will land and attach themselves to different surfaces in your home at random. Attics are especially susceptible to mold growth. Their warm, stagnant environment makes them the perfect area for mold to attach itself. If mold spores happen to waft in there, they will be able to grow and thrive easily. Attics tend to have poor ventilation. This means that any moisture found in the atmosphere has nowhere to go. The moisture then seeps into the wood, causing it to break down and attracting mold. Mold thrives on this moisture. Bathrooms are an unlikely candidate for mold growth. They are usually smaller than other rooms, and tend to be relatively well ventilated. However if it is not properly ventilated, it can become a breeding ground for bathroom mold growth. Excess moisture created by the shower can become trapped, causing it to sit stagnant on your walls, ceiling, and windows. Any mold spores that may have drifted into your bathroom will have a field day. Basements are a common area for mold growth because they tend to be rather cold and damp. While they can be chilly, it isn’t too cold for mold to be deactivated. The moisture in your basement allows mold to still thrive in these temperatures. Mold spores that have found their way into your basement can cause a lot of problems for your home! Mold can appear anywhere in your South Jersey home, not just the areas we mentioned. Be sure that you do all you can to minimize your home’s chances of exposure to mold. Artificial Christmas trees and garland can prevent unwanted mold and allergens from entering the home. While bringing allergens into your home is not completely avoidable, you want to do what you can to decrease exposure. As always, a dehumidifier in areas prone to excess moisture will help reduce the possibility of mold growth. If you suspect that mold has infiltrated your home, you can always have a professional mold inspection company assess the damage. Mold spores, active or not, are unhealthy for you and your family. 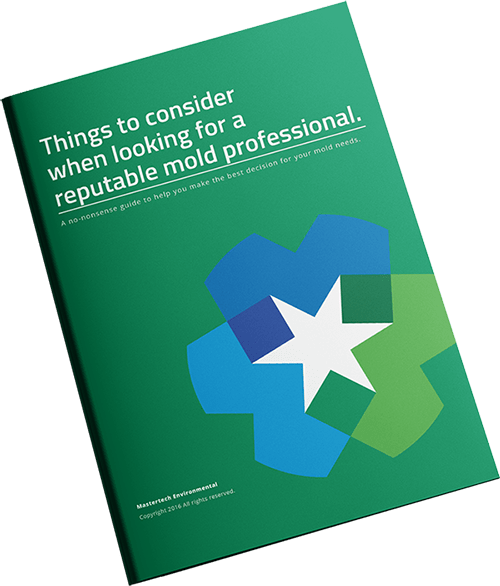 Mold can be an inconvenience, but don’t let it ruin your holiday cheer!